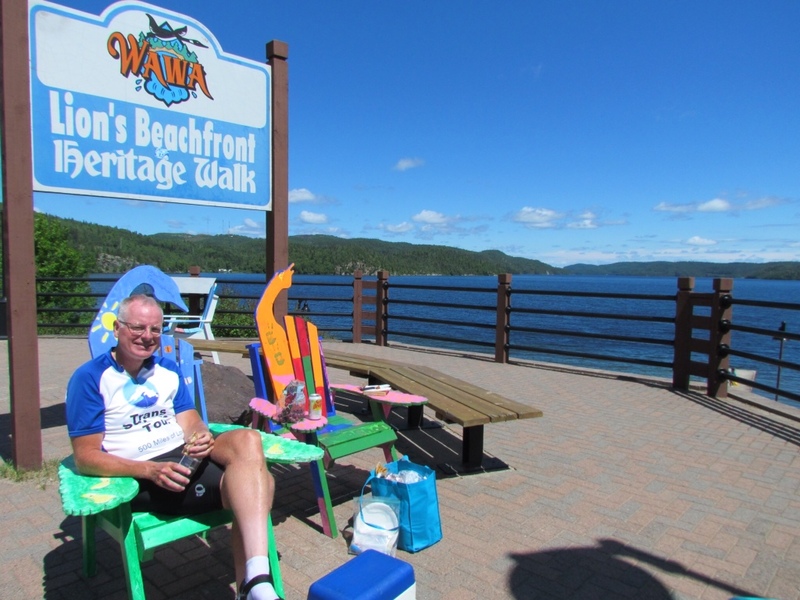 We've never done the Lake Superior Circle Tour, but in the last two days we nearly completed the northern half. 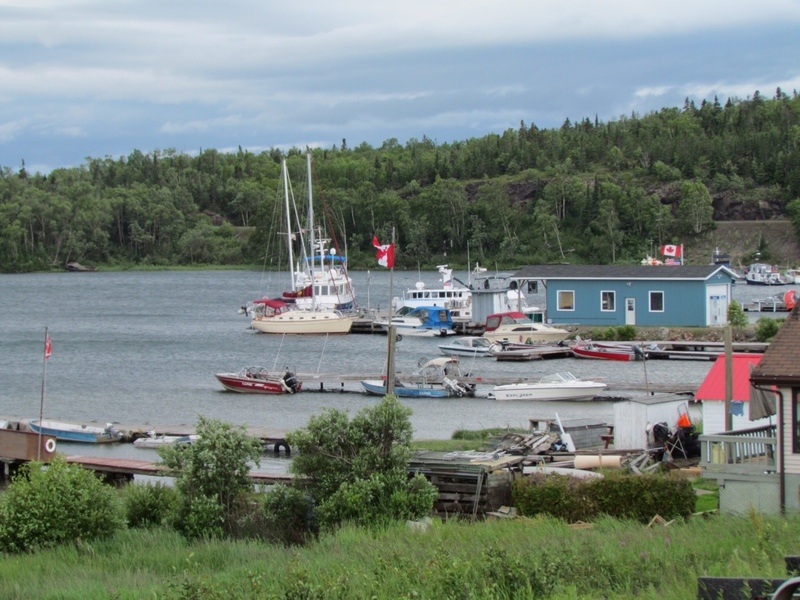 We'd never been beyond Nipigon before, and were enchanted with the Canadian stretch of lakeshore on the other end of the lake. Beyond a doubt, it is unspoiled wilderness. 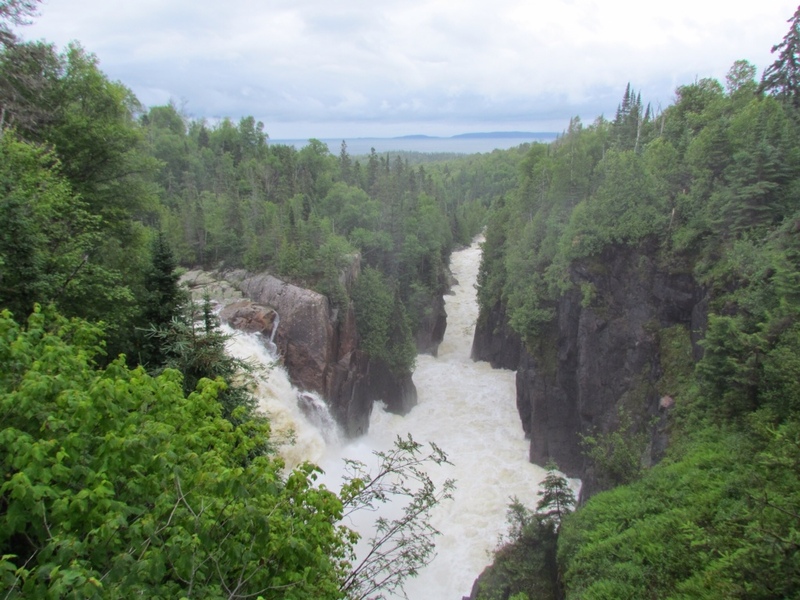 The dense forest, deep rock cuts for the road, vast distances between small towns, and soaring views of Lake Superior make it truly unique. 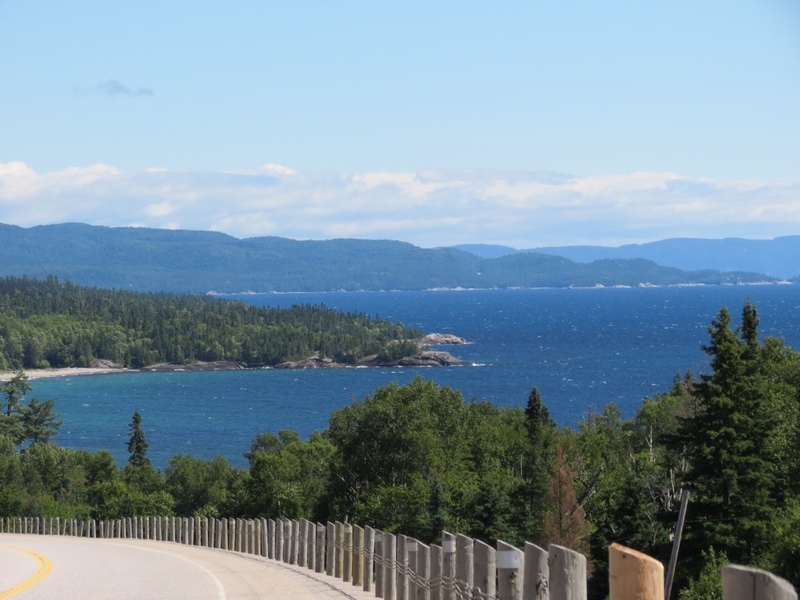 Even when the road ventured inland away from the Big Lake, we were continually wowed by views of deep blue pristine lakes. We were surprised at how hilly the terrain is. Since we are on our way to the east coast to start our Grand Gaspé Cycling Tour, we are keenly aware of hills and wind. It was clear that this stretch of the Circle Tour would be most challenging on bicycle. But it also lends beauty to the area. I'm not one who can normally sit in a car for hours on end without working on a project or reading. But the scenery kept me riveted for the last two days. Since we had our bikes along, we took the opportunity to do some cycling near Wawa. Traveling inland on infrequently traveled roads was a delight. 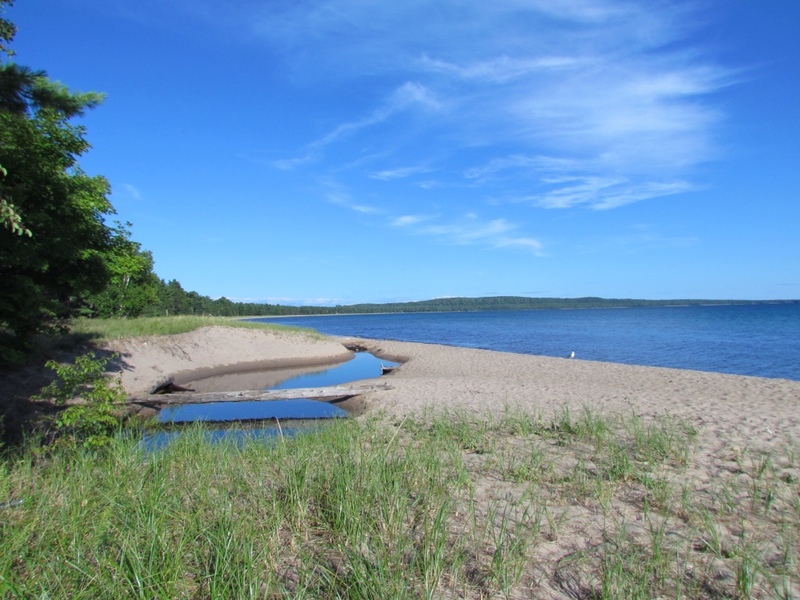 We chose Pancake Bay Provincial Park to camp for the night. After pitching our humble pup tent in a nice site right next to the beach, I took a long stroll along the waterline, and we picnicked on the sand. As the sound of the waves lulled us to sleep there seemed no better place to be. Now I wonder why we waited so long to visit this end of Lake Superior and take in its beauty. I guess we saved the best for last. 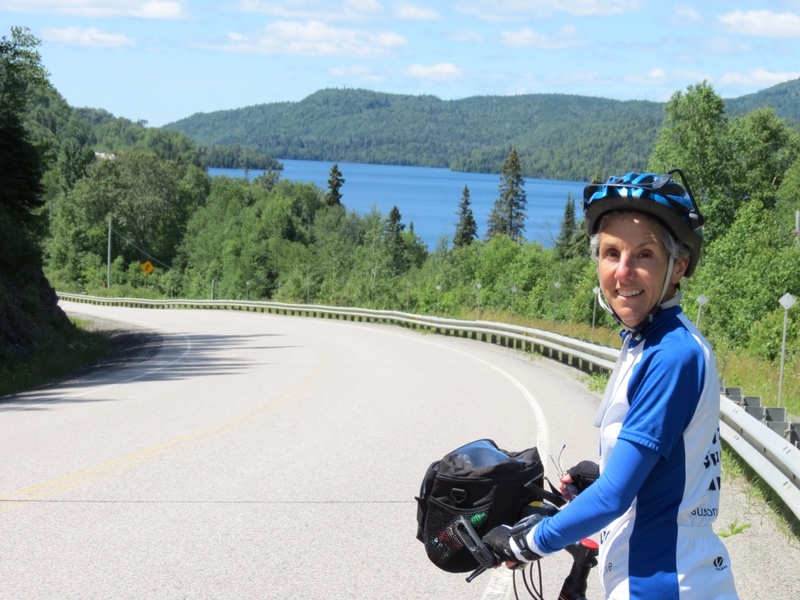 This entry was posted in Travel and tagged Cycling, Grand Gaspe Cycling Tour, Lake Superior, Travel by Molly. Bookmark the permalink.